Sometimes I am a bad, bad, lazy girl. Last year, Mike French, my editor at The View From Here, had his first novel The Ascent of Isaac Steward published and I've hardly given it a mention. Now, I could come up with a million excuses (I'm good at the sort of thing as you may of noticed) but instead I've conducted an interview with Mike to try and make amends. So please take the time to read through the following interview and find all about Mike and his novel and all sorts of other madcap stuff. There's also a competition to win a signed copy of The Ascent of Isaac Steward - and as my competitions can be a little challenging you'll get the gist of what's required as an answer in the body of the interview. Mike: Sorry can you hear somebody laughing? A kind of evil chuckle? No? O well okay.. um a literary casting couch? No, never heard of that do tell me all you know! I have heard stories of agents getting author photos enclosed with submissions - you know the types –here’s me in Barbados on my holidays – on the beach – with palm trees in the background – a clear sky above me - with my bikini – my mouth slightly open - look at my wonderful breasts – do you like my sample chapters - there’s more you can sample if you want. Jane: Blast. How disappointing. I felt sure those picccys of me in the nuddy with a whip and some clotted cream were going to clinch me a deal. So what you're saying is - it can be a long haul to publication – how did you keep yourself motivated through all the rejections and presumably criticism? Did you have any moments when you came close to throwing in the towel? ...And so on and so on until surely you’d think my brain would have made the necessary neural connections and come up with the association: Interested = No in all cases and at all times, please go away. I think the key is to remember that behind any machine or mechanism that you interact with is a human being, you just have to find a way to get their attention – but unlike a self-service checkout at Tescos, the publishers don’t tend to have a "call if you need assistance" button. My tip would be to find a person within the publishing company that you think may suit your book, ring them and tell them you have an unexpected item in the packing area – or a manuscript that you’d like to send them. Or one of the two. Sorry I get confused. Jane: Hmm. The last time I had an unexpected item in the packing area I gave birth so I don’t think I’ll try that line. Now I know from critiques on my own work that anything that strays from the norm, in particular in regard to genre placement, is essentially frowned upon by mainstream publishers. 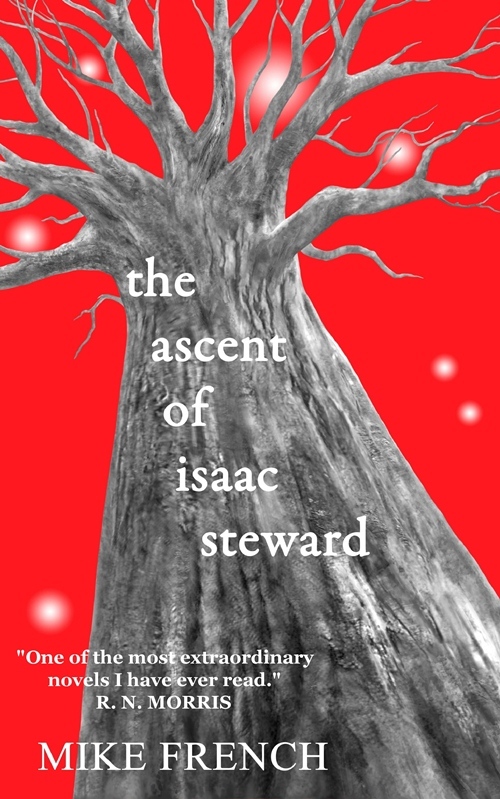 The Ascent of Isaac Steward is highly imaginative and creative with strong elements of the surreal. In the feedback/criticism you were given how far did you alter your novel to try and accommodate publishers or was there a point where you just said “Stuff you, I'm going to do it my way” ? 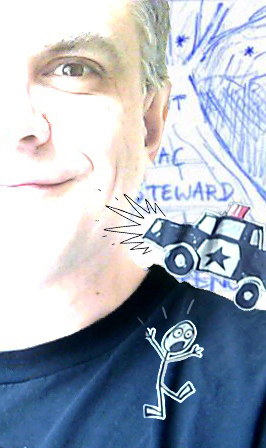 Mike: The feedback was as you’d think … we love this however we don’t get the more surreal elements of the book. That was tough. However to sand blast the novel to strip all that away would have left a very short novel indeed – and I wanted it in, I’ve read too much stuff that is formula and rubbish, I mean proper complete written by an idiot rubbish. And I’d worked out to be any good I had to write what I wanted not what the market wanted. Plus if I was going to plunge a reader into the madness that is someone’s life unravelling then, by its very nature, that is going to be confusing and fragmented and I wanted the book to reflect that. I think to box everything into packets of how we understand and would like to interact with our reality around us leaves us with something missing. Literature, like other forms of art, should displace us from our secured vantage point and say - look what things look like from here. Jane: Your writing is quite distinctive and you very much have your “own voice.” However, I’m wondering whether there's an author or authors that you have been influenced by – or perhaps, conversely, an author or a style of writing you've made a conscious/unconscious decision not to emulate? Mike: I think a writing style – for me anyway – is like an accent and you’re not really aware of your own until people point it out to you. A few people have said that my writing style is distinctive and my reaction the first time I heard this was to be pleased ( we all want to have our own artistic voice ) but also one of surprise – really? Is it? I certainly didn’t make any conscious decision to emulate anybody although of course like everybody I’m subconsciously affected by everything around me and in the case of writers that would be authors like Tom McCarthy, Julian Barnes and James Meek. Jane: The View From Here is your brain child and has just been recognised as one of the best on-line literary sites alongside Guardian Books and 3AM. What inspired you to create The View From Here and what are your hopes for it? Mike: I wanted to start up The View From Here – blimey that was five years ago now I can’t remember exactly – was it to pay the bills or so I could get invited to free lunches? Hang on it’s coming back to me … no, no, it wasn’t that either. Sorry, well look the honest answer is that it was just a gut reaction that it would be a good idea to pull some like-minded people together, give them as much freedom as possible and to see what came out of it. O and to make it look good, be fresh and inspiring and be the kind of thing that, if it were a person, you could invite over for a beer and not be embarrassed to introduce to your non bookish friends or your mother-in-law. Hopes for the future? That it would survive and find more people to invite it over for a beer – O and it likes dry roasted peanuts – did I mention that? For goodness sake if you do invite it over then make sure you have some otherwise it will get a bit – well – things could get awkward. Jane: What book are you reading now and what do you like/dislike about it and if you were able to covert into something (ie like those Transformers Toys) what would it be? And please don’t say Tony Blair’s memoirs morphing in to a waste-paper basket cos just remember I do the jokes around here! Jane: Interesting. I might read Life of Pi... in a year or two. Now, I'm sure my readers would like to know a bit more intimate stuff about you before we finish so can you tell me three things which drive you mad. Mine are slow drivers, very slow drivers and pedestrian crossings. Oh – by the way you're not allowed to include the fact I am always late for deadlines in your answer. 2) The kid’s homework – I think that speaks for itself – GRRR. 3) A local advert for Tiger cars ( GRRR ) which repeats their phone number about a million times until you want to scream – my kids love taunting me with it – bless them. So there you have it and a big thanks to Mike for being such a sport with some of my sillier questions. You can check out Mike's book on Amazon where it is available for 8.99 or if you have Kindle the amazing price of just £1.02. For a literary review you won't do better than Paul Burman's review over at his blog, Bloggety Blog. My own opinion is that it is indeed an "extraordinary novel" as described by the novelist R. N. Morris. I have never read anything like it. Ever. I'll be honest I don't think it is an easy read as it contains a lot of surreal elements that aren't easy to grasp- as Mike freely acknowledges. That said, if you are the type of reader who like challenging, experimental novels full of rich evocative description and you are prepared to indulge your senses and let your mind roam free this could be a novel that works for you. Now, to win a signed copy of The Ascent of Isaac Steward all you have to do is....tell me the name of a famous book and what you would like to "transform" it into. It doesn't have to be a funny answer but one that gives the reader a jolly good idea of what exactly you think about it. The answer I think is the most perceptive/original wins! I'm going to leave this competition open for a week or so because it's one you have to think about so hopefully over the next few days some good answers will come in! The Devil Wears Prada - A mop and bucket. Nice one Maggie - I think a mop and bucket sums up The Devil Wears Prada extremely well! I think Lord of the Rings would work well transformed into a wax model of Liberace.